Facial recognition technology has progressed to a point where it now interprets emotions in facial expressions. This type of analysis is increasingly used in daily life. For example, companies can use facial recognition software to help with hiring decisions. Other programs scan the faces in crowds to identify threats to public safety. Unfortunately, this technology struggles to interpret the emotions of black faces. My new study, published last month, shows emotional analysis technology assigns more negative emotions to black men’s faces than white men’s faces. For example, consider the official NBA pictures of Darren Collison and Gordon Hayward. Both players are smiling, and, according to the facial recognition and analysis program Face++, Darren Collison and Gordon Hayward have similar smile scores – 48.7 and 48.1 out of 100, respectively. However, Face++ rates Hayward’s expression as 59.7 percent happy and 0.13 percent angry and Collison’s expression as 39.2 percent happy and 27 percent angry. Collison is viewed as nearly as angry as he is happy and far angrier than Hayward – despite the facial recognition program itself recognizing that both players are smiling. First, black faces were consistently scored as angrier than white faces for every smile. Face++ showed this type of bias. Second, black faces were always scored as angrier if there was any ambiguity about their facial expression. Face API displayed this type of disparity. Even if black faces are partially smiling, my analysis showed that the systems assumed more negative emotions as compared to their white counterparts with similar expressions. The average emotional scores were much closer across races, but there were still noticeable differences for black and white faces. 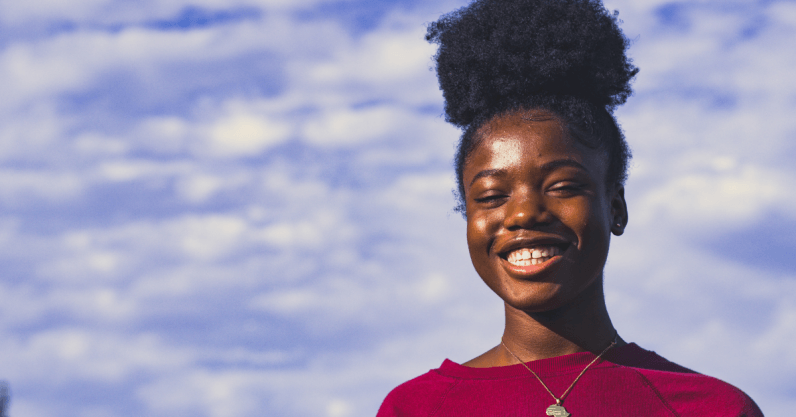 Until facial recognition assesses black and white faces similarly, black people may need to exaggerate their positive facial expressions – essentially smile more – to reduce ambiguity and potentially negative interpretations by the technology. This article is republished from The Conversation by Lauren Rhue, Assistant Professor of Information Systems and Analytics, Wake Forest University under a Creative Commons license. Read the original article.